Such a strong and powerful presence! 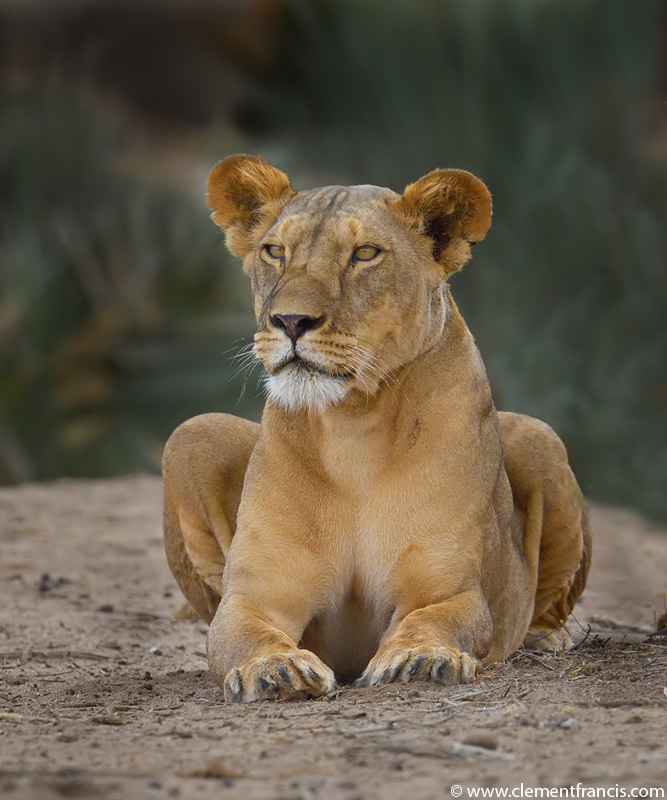 A beautiful image of this magnificant lioness, Clement. Such a great pose, really nice! The intensity of her stare is chilling. Wonderful image! Yes Ron.. she was watching a Impala.. and killed it after a 30mins stalk..
What a regal pose- really beautiful, and so intent!